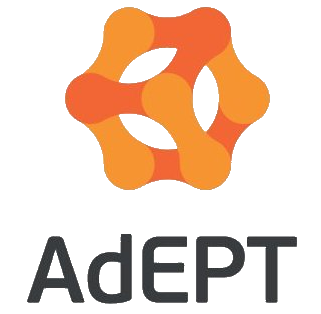 AdEPT (AIM: ADT), one of the UK’s leading independent providers of managed services for IT, unified communications, connectivity and voice solutions, today announces a trading update for the year ended 31 March 2019, ahead of the audited final results which are expected to be announced in early July 2019. The Board is pleased to report a year of continued further progress and delivery of our organic and acquisitive growth strategy. We have seen substantial growth across the AdEPT Group, alongside important acquisitions which have extended our geographic reach and our product range. Anticipated total dividends proposed for the year of 9.80p per share represents an increase of 12% over the prior period. Net senior debt of £27.2m as at 31 March 2019 was £0.8m lower than market consensus expectations which arises partly from the cash receipt of research and development tax credits from HMRC in the current year in respect of prior periods. AdEPT continues to generate consistently strong free cash flow conversion from EBITDA with a capital asset light model with capital expenditure well below 2% of revenue. AdEPT announced an interim dividend of 4.90p per share in its September 2018 interim statement, which will be paid to shareholders on 8 April 2019. The Board today announces that as a result of strong free cash flow and trading results it intends to recommend a final dividend of 4.90p (2018: 4.50p) per share which, subject to Shareholder approval at the Annual General Meeting later in the year, will be paid in October 2019. Total dividends proposed for the year ended 31 March 2019 of 9.80p per share represent a 12% increase year-on-year (2018: 8.75p). The AdEPT Group has grown substantially during the year ended 31 March 2019. Not only have we expanded our financial results, we have extended our geographic reach into Yorkshire (ETS) and developed our product range with enhanced back-up and disaster recovery services (Shift F7). Atomwide, a well-established UK based specialist provider of IT services to the education sector, was acquired in August 2017 and positioned AdEPT as the leading IT provider to schools across London, supporting around 2 million users of Atomwide’s products and services. A final performance related earnout of £1.5 million was paid in cash to the Atomwide vendors in October 2018, based on the first year after acquisition. The integration of Atomwide into the AdEPT Group has gone extremely well and the Atomwide data centre and in-house software development team has been instrumental in the creation of the AdEPT NebulaTM proposition. We have used the Atomwide data-centre as the basis to create our AdEPT NebulaTM nationwide MPLS data network and IT private cloud hosting services. Over the last few years we have acquired new customers using services provided from renting space in other data-centres. These are now being migrated to AdEPT NebulaTM. We are pleased to report that AdEPT NebulaTM already provides services to thousands of AdEPT Group customers. 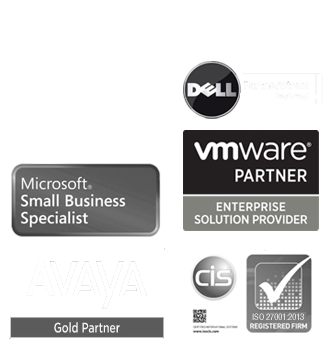 Acquired in August 2018, Shift F7 is a highly accredited IT services provider offering highly specialised IT support services and technology solutions to more than 200 commercial mid-market customers. As this acquisition was made part-way through the current financial year, it has only made an eight-month contribution to the FY19 results. The integration of Shift F7 into the AdEPT Group has gone well, with the Shift F7 senior management team actively involved in cross-group IT integration initiatives. ETS was acquired in November 2018 and is focused on providing unified communications and connectivity to business customers and has a strong public sector presence, including managing and supporting cloud-based telephony solutions to more than 200 GP surgeries. Similar to Shift F7, ETS has only made a five-month contribution to the FY19 results. The finance and support functions of ETS have been fully integrated into the AdEPT Northampton office. In January 2019 we announced the elevation of Phil Race to the position of CEO of AdEPT, with founder and previous CEO Ian Fishwick becoming Chairman of AdEPT. The transition has gone smoothly with their respective roles bearing fruit in terms of developing the strategy for the coming years and the enhanced focus on reviewing potential acquisitions. As referred to above, the integration of ETS has been completed and the £0.2m synergy savings generated from merging finance and back-office support functions with the AdEPT Northampton office, will be used to create the new ‘One AdEPT’ brand. We look forward to seeing the benefit of these changes in the coming months. This announcement has been released by John Swaite, Finance Director, on behalf of the Company.